Regarding Geometry, it is possible to decide by the rider’s own wishes depending on the experience of each rider and what you want,but until the design of the tubing It is difficult to do.if you order tubing for mass production frames, it may be possible if you have knowledge, but if you prepare tubing that is shaped for the only one, you will be prepared for a considerable cost burden or realistically It seems impossible. 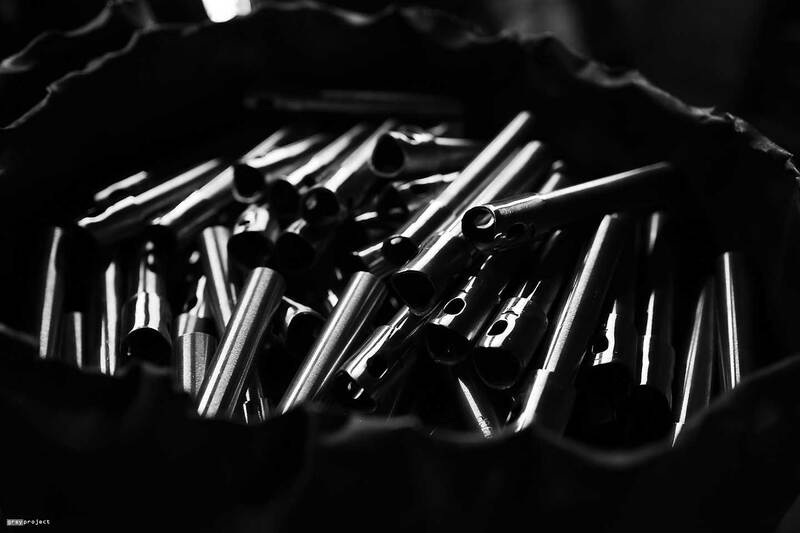 For example, in the top tube of GOOD SPEED produced for Yohei Uchino, the thickness of the tubing was formed in 5 steps in increments of 0.1 mm, pursuing strength and lightness and producing it. Although it can not be confirmed from the outside of the tubing, the inside is subjected to butted (stepped) processing. This is because the central portion of the tube is made thin and the portion close to the welding and the portion subjected to stress applying stress are retained by increasing the thickness. ARESiG’s custom frame allows even this tubing design. If the length of the top tube is 470 mm or 525 mm, one by one tube is designed, formed butted. 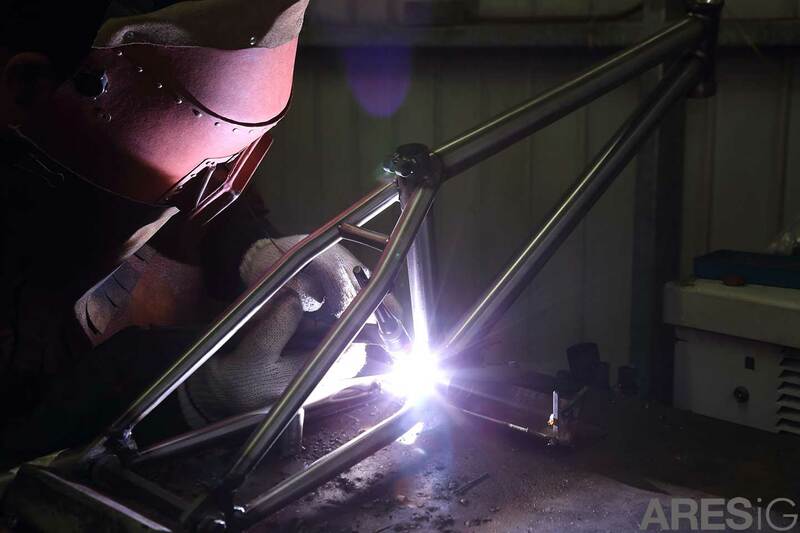 Even if you are actually considering this project and just welding the tubing of plain and making the frame with the geometry that the rider is asking for, I do not feel any attraction and like many signature frames, I could not feel the meaning of custom unless I made it. Although it is clearly stated that it is necessary for about 90 days to be between the time the drawing is confirmed and the time it can be delivered, it takes about 45 days just to design and form the tubing. This is not only for the top tube, but for all the tubing that makes up the frame. It also adds that the latest heat treatment is carried out for the frames assembled butted welded. Of course, this custom is not only to frames, and both handlebars and front forks can be produced. Furthermore, as long as it is not only to BMX, it is possible to produce only custom in whichever categories bike.